Logo & partial identity design for new Dallas-based business. I had a bit of a crazy idea here. Happy my client trusted me, because it turned out quite nicely! 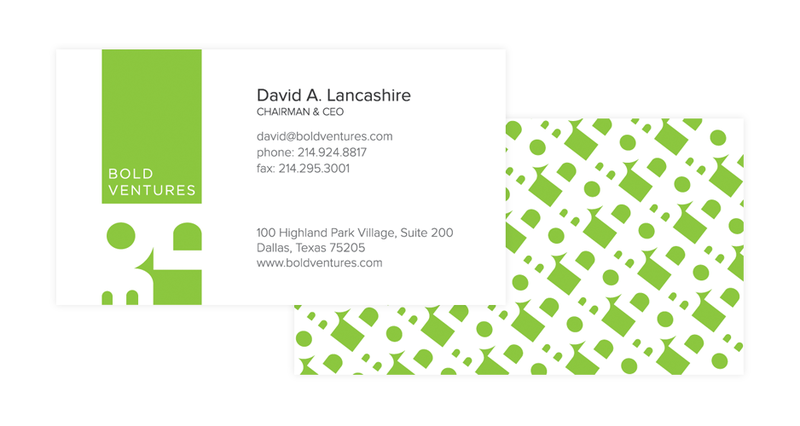 Bold Ventures was started by the CEO of a company I used to work for and he kindly thought of me when it came time to create a logo (see, kids? Doing good work is its own reward). 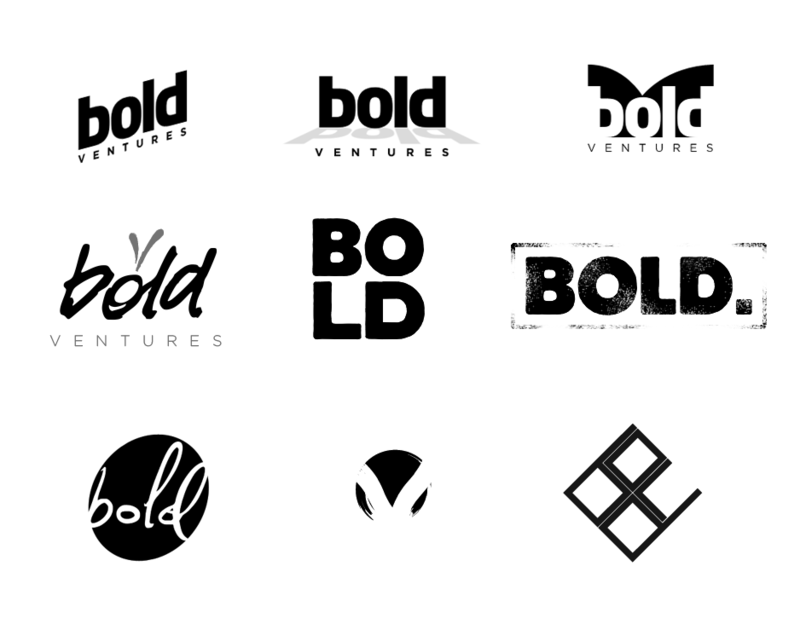 Clearly, the best logo would be something that embodied boldness — something a bit unusual. There were a lot of concepts proposed around the idea of capturing “boldness.” After a couple rounds of un-compelling logo explorations, one of the clients brought up the the finality and resoluteness that we attribute to a stamp or seal. That idea stuck, and we finally began moving towards a usable logo with a stamp or seal as our guiding star. In subsequent rounds there emerged perfectly capable logos, but I just had this nagging feeling that they were still too safe. I wasn’t seeing the boldness that we had all talked about so much. And then, somewhere in the home stretch of the final round, I had the idea of putting the “stacked letters” logo (pictured below in center) in a box and then blowing the letterforms out of the box, creating the look of something that had perhaps burst its bounds. It was much more visually interesting than anything that preceded it. It’s unusual, abstract and — I think — quite bold. Which was the point. Subscribe to this website if you're still down with RSS.